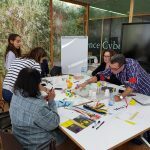 What is the GoNano Innovation and Co-Creation Workshop? 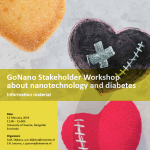 The GoNano Innovation and Co-Creation Workshop is part of a series of events and activities organised under the EU project GoNano, which aims to achieve better alignment between the multiple stakeholders involved in nanotechnology research and innovation. 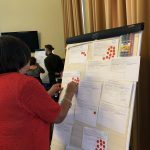 The workshops are a forum for bringing together the brightest minds from multiple sectors so they can create and cultivate new solutions for the biggest problems in society today. 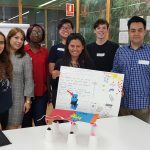 Hosted by RMIT Europe in Barcelona, the workshop will gather an eclectic group of stakeholders working in the nanotechnology/nanoscience and energy sectors. Participants will discuss the state-of-the-art in nanotechnology applications for the production, consumption, and storage of energy; and the main hurdles that can obstruct such technologies progressing from research to the market. 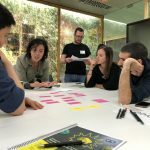 The various stakeholder groups will also have the opportunity to work together to develop new ideas for future research lines, products, business cases and policies; where the co-creation approach allows the collective to identify and resolve potential problems early on in the creative process. Stakeholders with an interest in the nanotechnology/nanoscience and energy sectors, particularly those looking to connect with the public and other stakeholder groups. The workshop is free to attend but spaces are limited so register your interest now so you don’t miss out!